Very much lately. And I got to thinking I do miss messy crafting as I loved going to Lesley Whartons craft classes when Franki had her in the shop. I used from a very old stash that I never used from Stella crafts art tags which were designed by Kathy Mills. 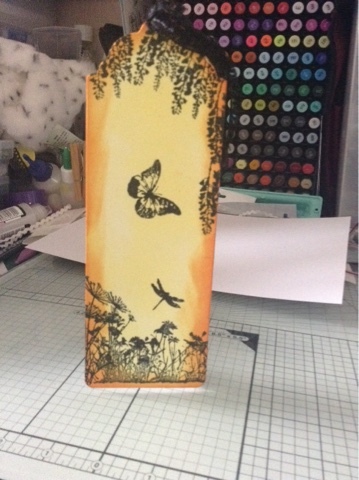 I used squeezed lemonade & spiced marmalade distress inks by Tim Holtz. 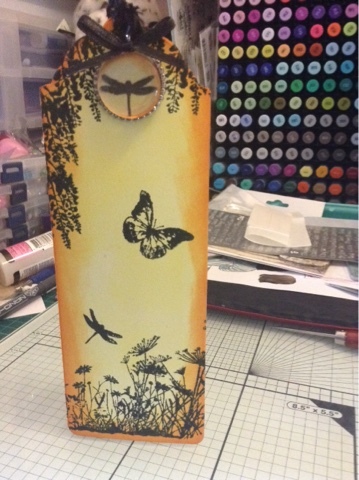 The stamps used were called a little bit scenic silhouette stamp set from Sheena Douglas which was free in the quick cards magazine a few months back. I stamped the images from black memento ink. 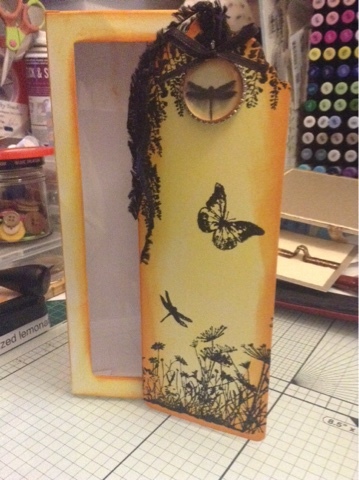 I got feathery ribbon from an old stash and I stamped a dragonfly image and put it in an ephinany tool. It's not bad for a first attempt in ages. Not a bad attempt? It's fabulous! Live the colours you chose to use and the finishing details at the top.